Handle too short or too long? This issue has been discussed for generations – the SRP reel seat is the solution, and the Red Master SRP rods are the proper counterparts for this tool. 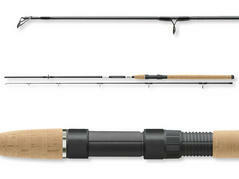 The perfect spinning rod for fishing for trout with small spoons, spinners and mini jigs. The shiftable CORMORAN SRP reel seat is literally made for light spinning rods: when fishing in between bushes, a short handle is a great advantage. 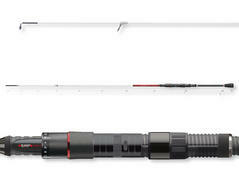 When fishing at ponds, a longer handle enables additional meters due to the increased lever. With 1-7g the casting weight of the Spoon Trout is perfect for small lightweight trout spoons, which can be cast to long distances despite their low weight. Unites the prerequisites of modern spinning rods: lightweight, well-balanced, equipped with premium components and designed by professionals. The core of this series is the blank of high modulus carbon fiber, which is reinforced by carbon fiber crosswraps at the handle section. Premium components and professional processing are further elements, which are hard to beat within this price range. Our bestselling series Black Master has a worthy successor – the new Black Master. Developed for nearly all fields of application at modern spin fishing with braided and monofilament lines, the Black Master rods feature a fast action and low weight combined with an outstanding rod balance. The discussion about the optimal handle length, which has taken place since the ever beginning of rod design, has been brought to a final end by the SRP reel seat. The SRP reel seat, which looks and works like a normal reel seat, can be adjusted continuously at the rod and thus be customized individually without tools or technical know-how. The fishing for perch and trout in rivers and ponds with small lures demands special rods for achieving maximum fun at fishing. The spliced-in solid carbon fiber tip cares for a sensitive bite detection and transmits even softest taps to the sensi-touch reel seat via the high modulus carbon fiber blank. A rod that is addicting! 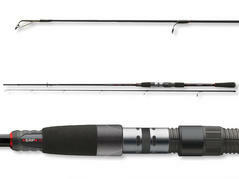 A dream tackle for modern spin fishing for perch and trout. 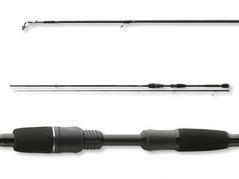 This rod features a well-balanced handling for fatigue-proof fishing and transports vibrations of the lure to the handle section without delay. 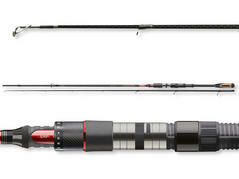 The RayCor-X 5-20g is very sensitive, ultra-fast and designed for a perfect lure presentation. Developed for light spin fishing with smaller lures like spinners, small plugs and jigs for trout, perch, chub etc. The stiff and super-fast action catapults also lightweight lures precisely to long distances. The hook can be set instantly and without delay. The special blank additionally supports a quick netting even of strong specimen. The ideal rod for fishing with medium-sized plugs, shads or spoons. 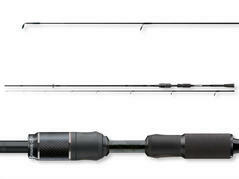 These models are real all-round rods and are the perfect choice for fishing for pike, zander, large perches and trouts. The action is stiff with a fast tip and a dynamic backbone. 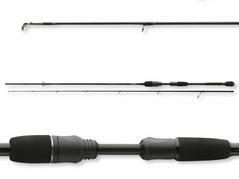 These rods seem to know no limits at all – they develop irrepressible power during the cast and at the fight with the fish and at the same time enable an incredibly sensitive lure presentation and bite detection. 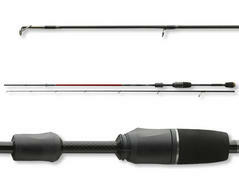 Real all-round rods especially for the use of large lures and fishing for big predators.